Go ahead and judge this book by its cover! I just pre-ordered it myself and can’t wait to get it and read it. You’ll want to do the same; I promise. 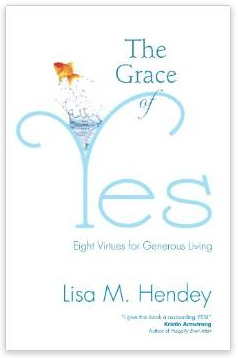 I’ve been a longtime fan of Lisa’s work, starting with CatholicMom.com, through two other books — The Handbook for Catholic Moms and A Book of Saints for Catholic Moms, her blog at Patheos.com, and now this exciting new book, The Grace of Yes. You can read all about it at Here.